so cute, love that sweater! i don't think it's boring at all i think you look gorgeous and very chic!! i love your booties! boo sad to hear taken 2 wasn't as good as the first one.. the first one was sooo awesome!!! liam neeson is AWESOME.. he's like old man hot hahahahaha! Your cardi is lush! 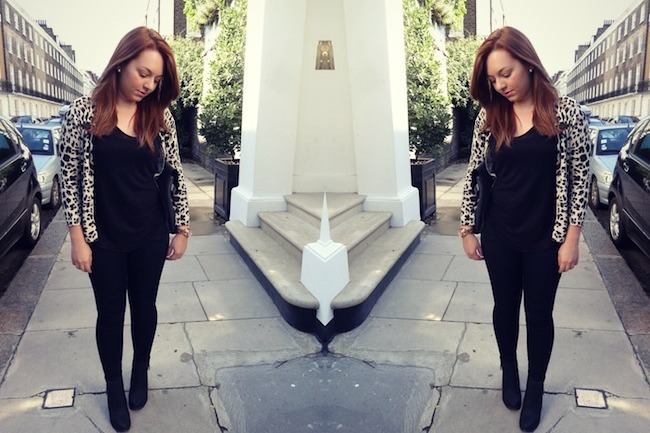 I love leopard print - it suits anyone and adds some umph to any outfit! 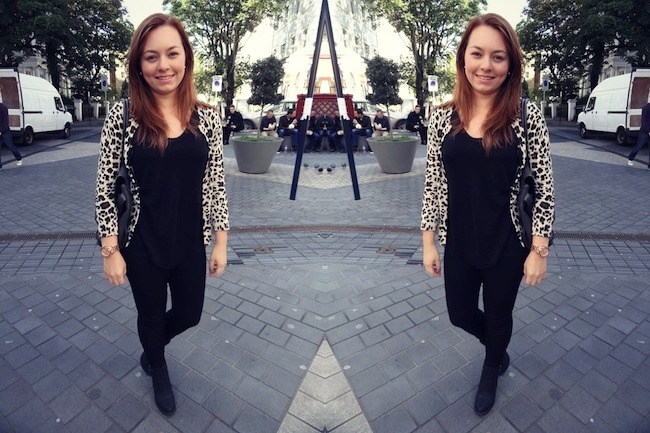 I'm really into wearing black with a pop of colour / pattern too! I'm usually quite a bright dresser but like you I also think when you go shopping it's best to wear a neutral palette. My work also requires me to be fairly neutral.